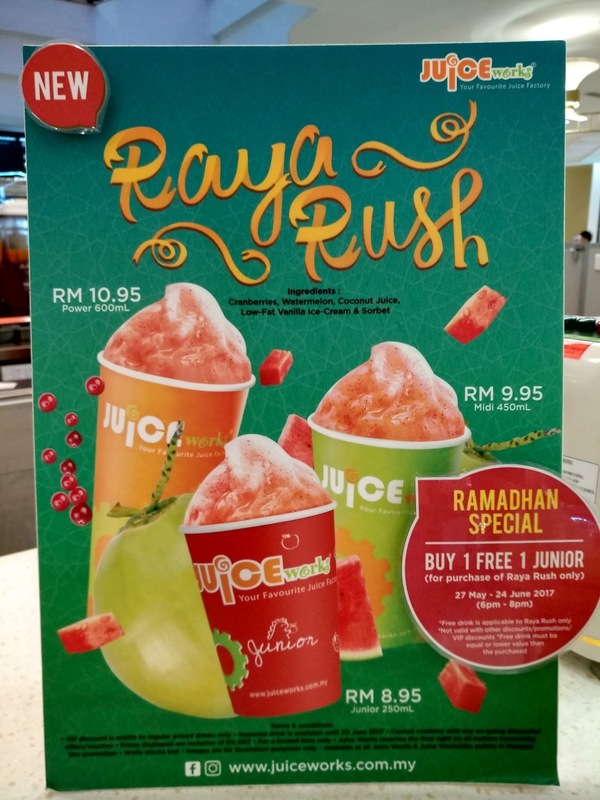 How about " Berbuka Puasa" with Juice Works' Raya Rush! This offer only valid from 1st May until 30th June 2017. 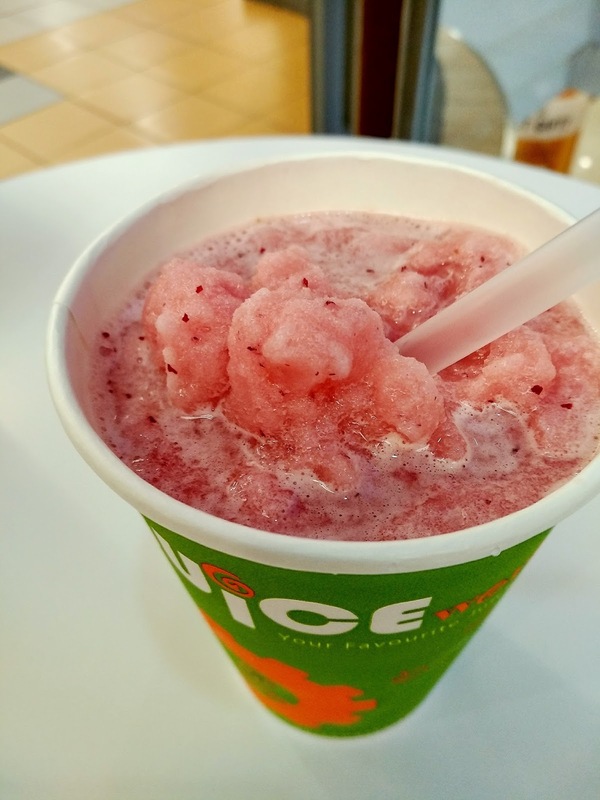 Mixed up with crushed cranberries, watermelon, with a combination of low-fat vanilla ice cream sorbet and coconut juice/water. 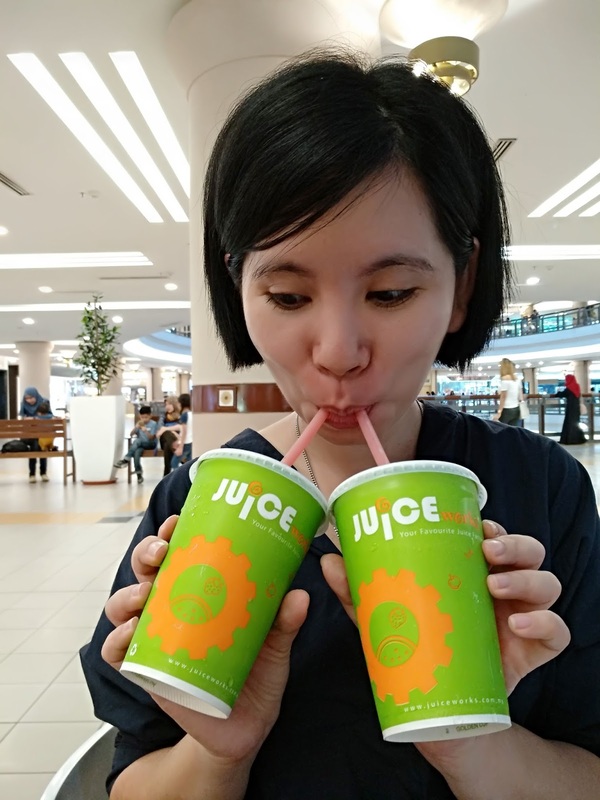 It's not only healthy drink but brings up the sweetness, cold and refreshing moment during the breaking the fast. Cranberries rich in Vitamin C, fibre and manganese whereby is good for our bone. Besides that, cranberries also rich in vitamin E that help protect our body cells from free radicals. That means it is good for our skin. While Vitamin K is important for blood clotting and building strong bones. It also has copper to help ward off infection and osteoporosis, and pantothenic acid (also known as Vitamin B5) to transform food into energy. While watermelon naturally contains 92% of the water that can quench your thirst. Watermelon also contains high levels of Vitamin A, B6, and C, and lots of lycopene which is good in preventing cancer or hardening of arteries, antioxidants and amino acids. Coconut juice helps to lower down our body temperature and keep us hydrated. It contains 4x higher in potassium compared to bananas! Potassium helps to regulate own body fluid and help counteract the effects of sodium to maintain a healthy blood pressure. 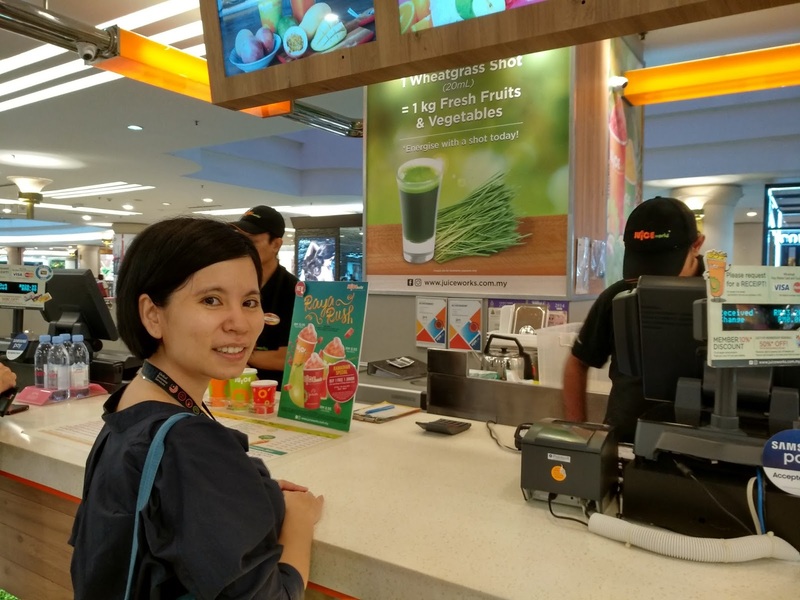 During fasting month, Raya Rush provide sufficient energy and Vitamin to your body. 3 of the main fruits contain high fibre that helps to clear off the toxin of your body. DRINK UP today! 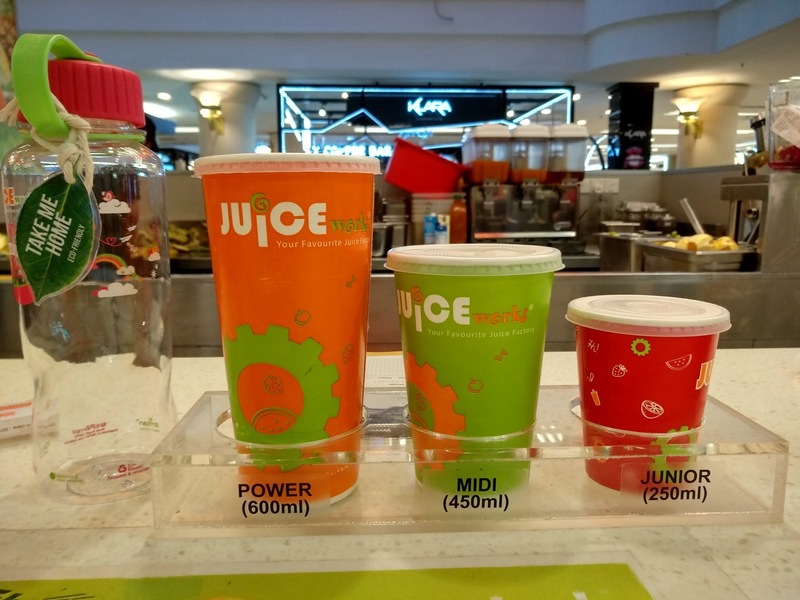 Good News, as this Ramadan season, Juice Works offering 'BUY 1 FREE 1 JUNIOR' for Raya Rush drink! This offer only valid from May 27-June 27, 2017 every 6pm-8pm. 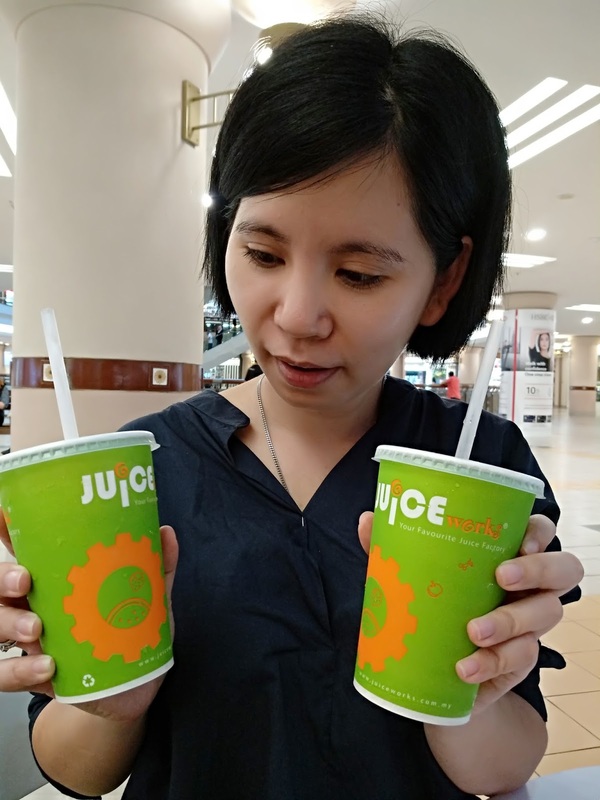 · Juice Works Malaysia reserves the right to final decisions on all matters. 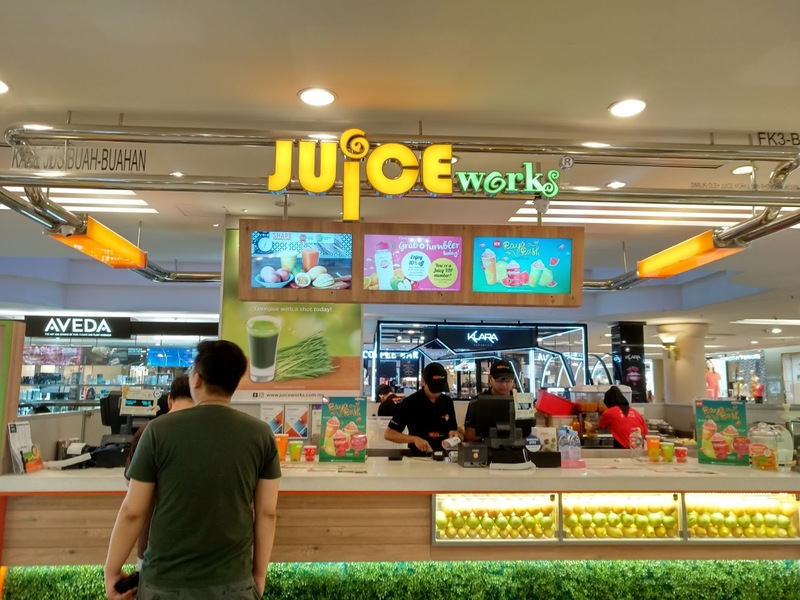 From all of us at Juice Works, Happy fasting and Selamat Hari Raya!